These days I am mostly writing recipes and restaurant reviews and almost forgot about the “How to” section that I started few months back! Typical me you see 😛 ! 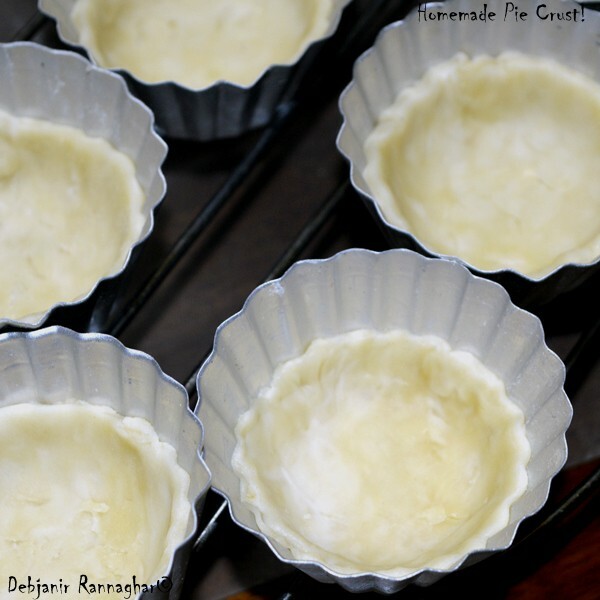 However, after having my recipes published in Bengali lifestyle Magazine “Sananda”’ s 30 April issue for Mother’s day, I have received several calls from the readers and there was a request from many to share the step by step recipe of Pie Crust! I never have thought about it before and didn’t realized that it can be difficult to not to make the pie crust properly. Though available in malls or super-speciality shops but I cannot say that ready-made Pie crust can be purchased anywhere and everywhere in India and moreover I didn’t think about purchasing it given it is really easy to make Pie Crust at home with readily available ingredients and with some basic tricks. 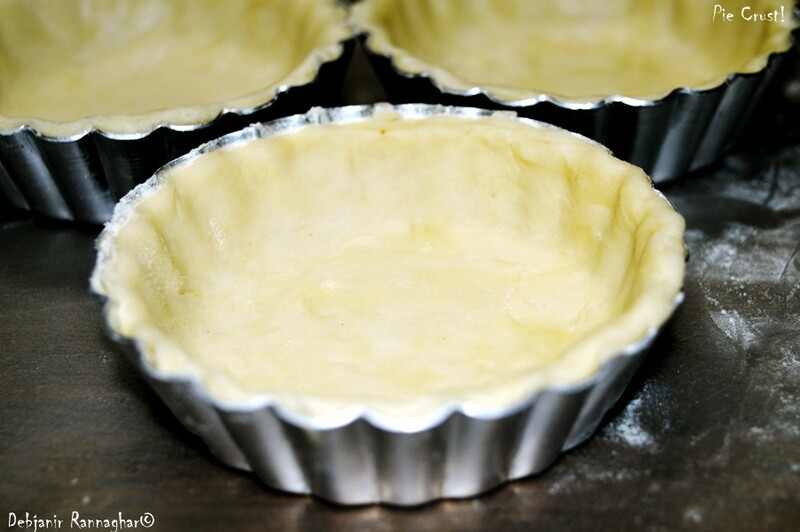 On this note, let me share the recipe of basic Pie crust that can be used in making Pie, Tart, Mini Tart etc. and can be used as a substitute of puff Pastry as well (though the recipe of Puff Pastry is different and I will try to share that soon). I make Pie Crust quite often in my little workstation given I have a little fan base of mine who order for the homemade Tarts and Pies quite often and my little one also loves to have freshly baked homemade Pie. 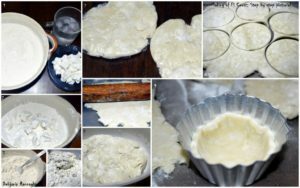 I have tried to share the step by step recipe of Pie crust along with the pictures for the ease of the readers. Traditionally Vegetable shortening is added with butter for making the Pie crust but I mostly use Butter and escape shortening. Cut Butter into small cubes and refrigerate for 30 minutes. I prefer to place it in deep-fridge. Take All Purpose Flour along with the Salt and shift it twice and then keep in refrigerator for 30 minutes. Place the Bowl to be used for making the Pie crust and mixing attachment of the mixer (I use a hand mixer to make the pie crust) along with a fork in refrigerator for 30 minutes. In half cup chilled water add 2-3 ice cubes and deep-fridge that for 10 minutes. Add chilled butter chunks in the bowl and using the chilled fork start cutting the butter chunks and mixing with the All Purpose Flour until the butter chunks break into pea-nut size pieces and the mixture turns into a crumbly mix. Place the mixture in deep-fridge for 10 minutes again and then take it out and add little ice cold water to it. Start adding by 1 Tbsp. first and mix using the hand mixer and add little more water again knead. There should be little peanut sized butter chinks visible in the Pie crust once the kneading is finished. Wrap the Crust with cling film and place it in deep fridge for around 30 minutes and use afterward to make your choice of Pie. 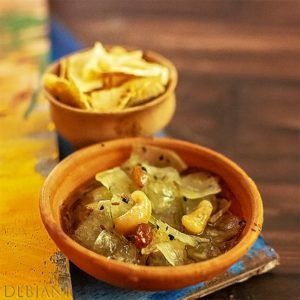 Try to not to use hand as much as possible especially you are preparing the pie crust in a country like India where we are on the hotter side as Pie crust required chilliness. It is advisable to use unsalted butter but if not available and using regular table butter escape adding Salt. After cutting the pie crust into desired pieces and placing on the mold fridge it again before baking for better result.